Want to take a rickshaw tour in Hutong? Dine on a Confucian Feast? Feel the buzz of a booming city? Breathe still mountain air beside one of the most famous structures on earth? 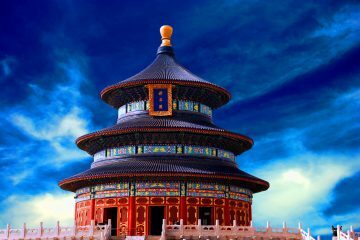 Both a seat of rapid change and an echo of ancient Imperialism, China is a dramatic and delightful destination unlocked by this exciting bucket list tour. 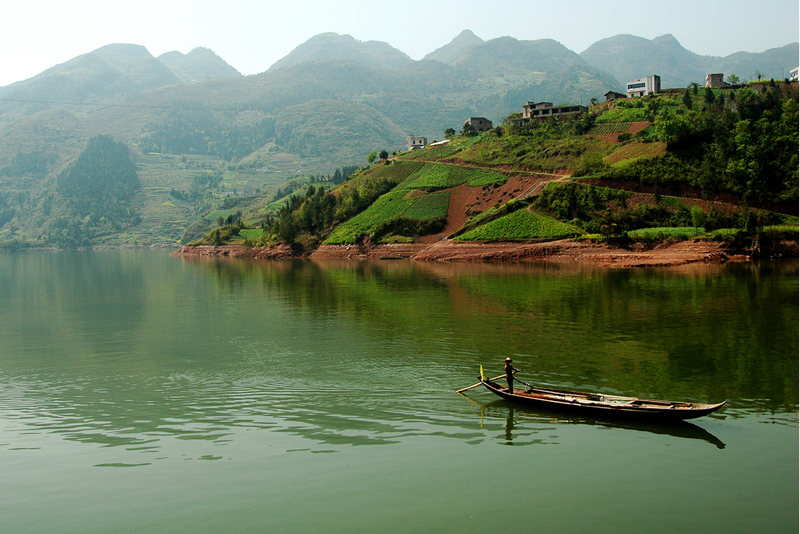 And discover the Yangtze River Cruise. Multiple departure dates in 2019 available to choose from. Please note all dates are subject to availability at time of booking. 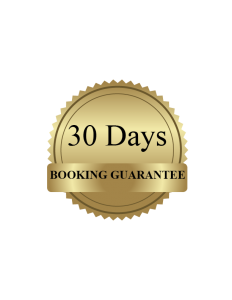 Rest assured, should your dates not be available, the Booking Guarantee applies. Dates are subject to availability at time of booking. We recommend you be quick to redeem your holiday and increase your chances of getting your preferred dates locked in! Voucher is for one person based on single or twin /double occupancy. $500 per person Surcharge departure from Perth & Brisbane. Price is for one person based on double occupancy on departure from Sydney or Melbourne. $200 per person High Season Surcharge on Jul & Aug 2019. Single supplement of $650 is payable upon booking for single travellers. Cancellation prior to flight ticket issue will incur a $350 cancellation fee, there will be no refund after the flight ticket is issued. Return date change will incur a charge of $200 per person before the air ticket has been issued and is subject to airline availability. Itinerary scheduled activities are subject to change without prior notice based upon weather, a traffic condition, and other unforeseen occurrences. Our valued up to pricing in our offers are based on the ‘rack rate’ of the room and the inclusions at the time of publication of the offer (that’s hotel-speak for ‘Recommended Retail Price’). Supplier pricing /charges are dynamic and therefore constantly changing depending on peak seasons, low seasons and events so we use the rack rate which is consistent year round and 100% verifiable. The value and comparative savings have been determined based on the supplier’s shared rack rates and the value of inclusions. Rack rates may not be reflective of actual rates being charged, dependent on the timing and manner of your booking and therefore are only indicative of the level of value. Travel insurance not included, customers are advised to purchase appropriate cover. Members receive 10% off any travel insurance policy – simply mention the promo code: DISCOVERY10. Excludes: visa, travel insurance, single supplement upgrades, add-ons, and excursions, anything not listed above i.e. : laundry, personal item. A visa gives a non-citizen permission to enter and stay in a certain country. 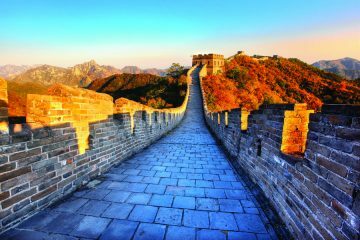 Australian travellers require a Visa to enter China. MyDiscoveries cannot issue visas for your trip. You will need to research Visa requirements and contact the nearest embassy or consulate. Australian Government’s travel advice service smartraveller.gov.au is a good place to start. Read more Visa information here. Optional tour: Tiananmen Square, Forbidden City- Set out with your trip leader to discover Beijing’s imperial treasures. Stand in Tiananmen Square, one of the largest and grandest public plazas in the world before progressing on to the Forbidden City. Enter the imposing walls of the Forbidden City, once the exclusive domain of the Ming Dynasty, for an exclusive tour through this vast complex of courtyards and lanes. Optional tour: Hutong Tour – Take a rickshaw tour of the traditional Hutong areas, famous for the old-style buildings, and time-honoured workshops. Enjoy a meal with a local family here before returning to your hotel. Today, you will travel into the rugged mountain landscapes north of the city to the magnificent Great. Wall of China. Once on top of this ancient defensive structure, you’ll find that some sections are quite steep, but the views are magnificent, and the experience is truly unforgettable. You will then learn about Jade, China’s most precious and celebrated stone, and its manufacturing process at the largest Jade factory in Beijing. Before returning to your hotel, experience the oriental foot massage at a traditional Chinese medical center where you will learn about alternative treatments for illness and have the chance to consult a Chinese Medical professional. Take the bullet train to Jinan in the morning, upon arrival at Jinan city, you will be greeted by your tour guide and visit Daming Lake located in the center of Jinan City. The lake covers 81 hectares and therefore the lake retains a constant water level throughout the year and becomes a natural and cultural symbol of Jinan city. Then you will proceed to the Black Tiger Spring. According to the old myth, in the old days, there was a black rock in front of the cave. The rock was black in colour and resembled a tiger. The sound of the water rushed out from the rock resembled like that of a roaring tiger. The resemblance of the shape and sound is the reason to name the spring as Black Tiger Spring. Later this evening you will be transferred to Tai’an and check in for your hotel. Optional tour: The Confucius Temple complex Confucian Temple is located in the center of Qufu City, in order to commemorate the great philosopher Confucius, this temple was originally built as early as in 478BC, one year after Confucius death. The temple was built according to the specification for imperial palaces; it is one of the three greatest ancient building complexes in the country and holds an important position, and there is also one large statue of Confucius in China. Optional tour: Confucius Feast The Confucius Feast is an important part of the Chinese food culture and is used for appointments, birthdays, weddings. It is a delicious family meal that has been gradually developed over the past several hundred years. Optional tour: The Feng Shan Sacrifice performance The Feng Shan Sacrifice also called the emperors’ sacrificial ceremonies, are a kind of religious ritual that was conducted by China’s ancient emperors on Mount Tai. The performance’s greatest feature is the use of 180-degree panoramas natural landscapes as the stage, using modern sound and light, electricity technology, choreography, and large-scale casts to interpret local culture, and the audience is immersed in the natural theatre. 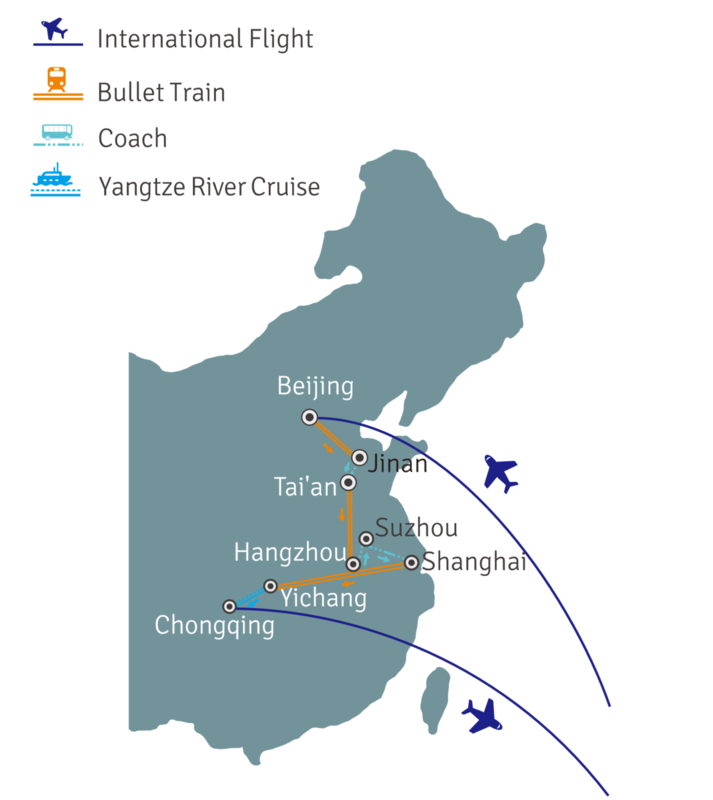 Today, you will be transferred to Hangzhou by bullet train in the early morning. You will embark on a tour of Hangzhou city – renowned for its beauty and abundance of cultural heritage. It is also the political, economic and cultural center of the Zhejiang Province and one of the most popular tourist destinations in China. You will then visit the West Lake area in Hangzhou, comprising of the West Lake and the surrounding hills, which have inspired famous poets, scholars and artists since the 9th Century. 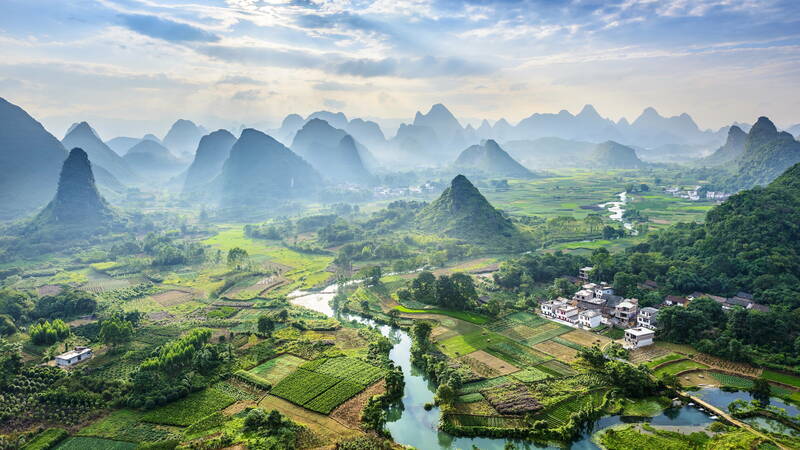 It is considered one of the most beautiful landscapes in China, and is home to numerous temples, pagodas, pavilions, gardens, causeways and artificial islands. While you’re in the West Lake scenic area, visit toa tea plantation, here you will learn about tea picking and processing. 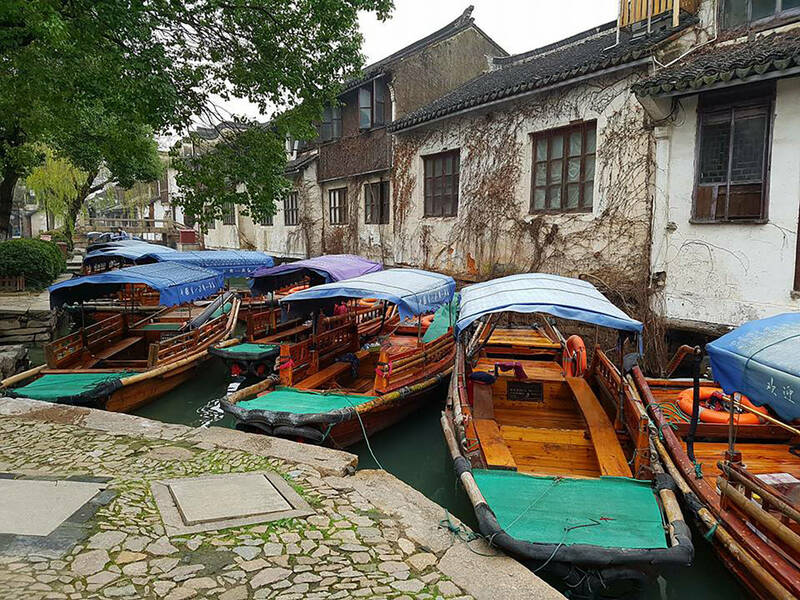 Optional tour: After lunch, you will have the option to take a boat trip along the longest canal in the world – Suzhou’s Grand Canal. Some sections date as far back as the 5th century BC and it is now a UNESCO World Heritage Site – there are many beautiful homes to admire along this impressive waterway. 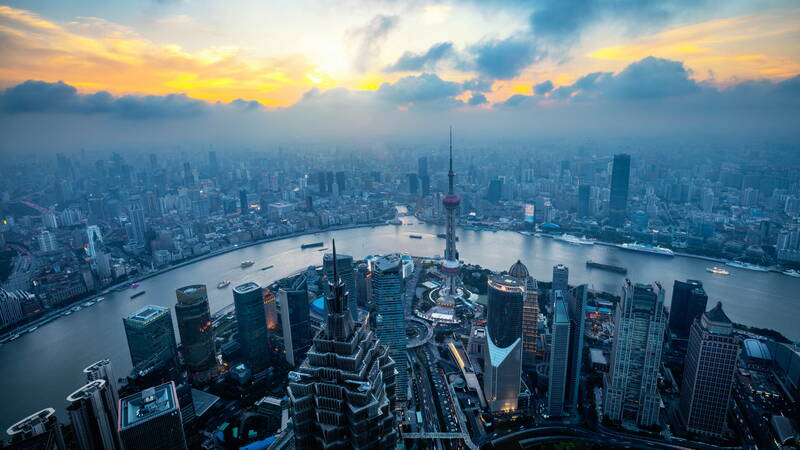 Optional tour: Enjoy an optional evening on the Huangpu River Cruise, allowing you to take in the famous sites of Shanghai including; the People’s Hero Monument, the Bund, the Oriental Pearl TV Tower, the dramatic skyline of the Pu Dong business district, the bustling International Passenger Station of Shanghai Harbour, the docks and the Wu Song ancient gun fort relics. Start the morning with an exercise on board in the presence of the beautiful Gorges. Spend your day out on an optional excursion or relax on board the cruise ship. This evening you will return to the ship and attend the Captain’s Welcome Banquet and enjoy the evening entertainment of a Chinese dancing ball. MEALS: Breakfast, Lunch, Dinner Optional Activity: Excursion – Three Gorges Dam Site is one of the largest construction projects undertaken by mankind and is the biggest hydropower project in the world. Optional Activity: Excursion – Tribe of the Three Gorges. You may also want to visit the Tribe of the Three gorges, the only large scenic spot that has not been influenced by the Three Gorges Dam project, which showcases the abundant Ba Culture and Shu Culture. Today, you may choose to embark on the exciting optional excursions or for a leisure day on board the ship. In the afternoon you will continue to cruise into the western section of Xiling gorge. 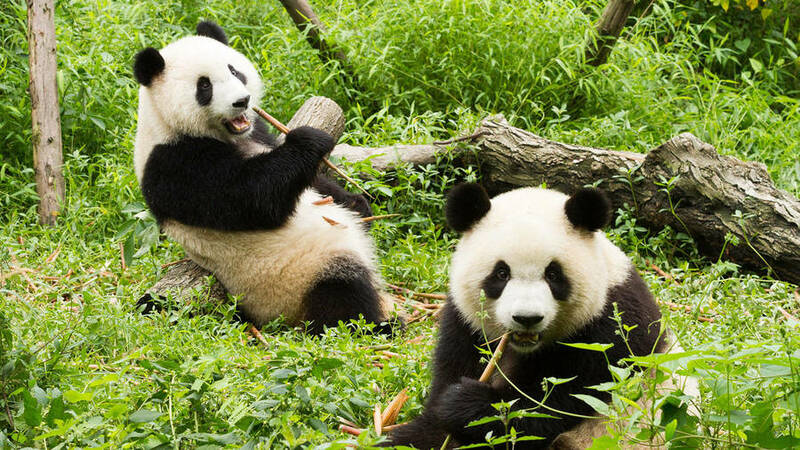 MEALS: Breakfast, Lunch, Dinner Optional Activity: Excursion – Lesser Three Gorges or Shennong Stream. Explore the Lesser Three Gorges or Shennong Stream, a shining pearl hidden in the remote mountains. 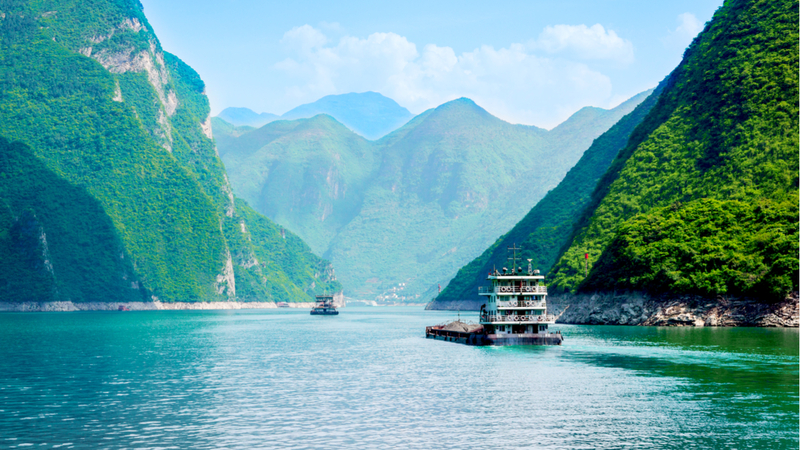 You will leave your cruise ship and board smaller vessels to sail through the narrower and breathtaking Lesser Three gorges region or Shennong Stream, lined by sheer cliffs and mountains. 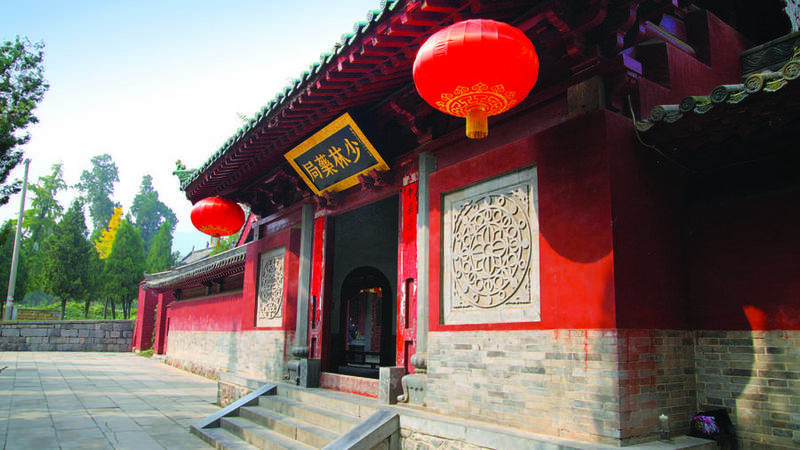 Optional Activity: Excursion – White Emperor City. You may also choose the optional excursion to visit the White Emperor City, an ancient temple that is located atop Baidi Mountain on the northern bank of the Yangtze River in Fengjie County. Today you will pass through the mountains of Eastern Sichuan. Participate in the optional excursions or pamper yourself with a massage and make the most of the last full day on your ship. Tonight, enjoy the farewell dinner and pack your bags in reparation for disembarking tomorrow. MEALS: Breakfast, Lunch, Dinner Optional Activity: Excursion – Fengdu Ghost City. Today’s optional excursion is the Fengdu Ghost City to see why it’s regarded as the “City of Ghosts.” The temples built on Ming Mountain depict the instruments of punishment and demon paintings, demonstrating the Chinese people’s imagination of hell. Optional Activity: Excursion – Shibaozhai Shibaozhai is a 12-story wooden pagoda built against the rock in the 18th century. It is located in Zhong County on the south bank of the Yangtze River. There are steles and inscriptions of past dynasties on each floor. Visitors may also appreciate the spectacular Yangtze River from the windows of each floor during climbing. One of the strongest economic powerhouses in the world. One of the oldest continuous civilisations in the world. Definitely the most populous country in the world. 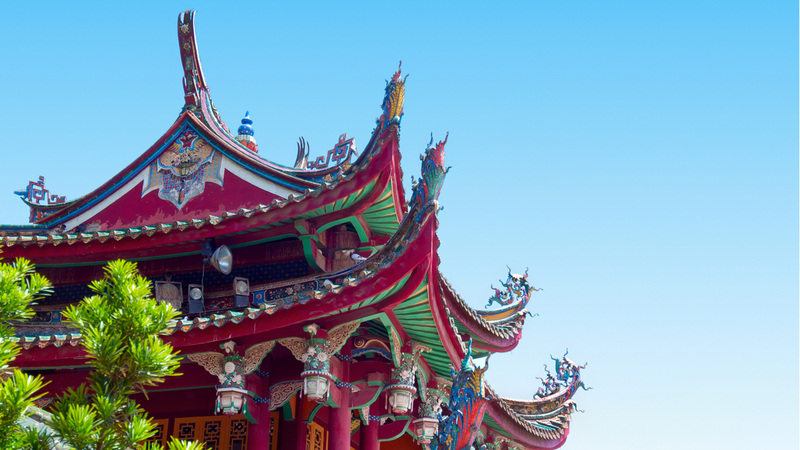 It is little wonder that fascinating, multi-faceted China tops many an intrepid bucket list. Please note: Airlines cannot be confirmed until three weeks prior to departure and changes in airline may be made to accommodate tour requirements. China is a huge country with diverse climates. Spring, from March to May, and Autumn, from September to early November, are the best months to travel. VISA A visa gives a non-citizen permission to enter and stay in a certain country. Australian travellers require a visa to enter China on holiday. MyDiscoveries cannot issue visas for your trip. You will need to research Visa requirements and contact the nearest embassy or consulate. Australian Government’s travel advice service smartraveller.gov.au is a good place to start. Read more Visa information here. 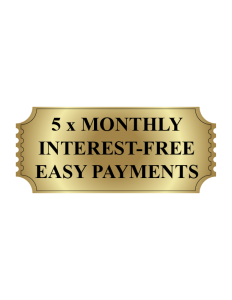 Once you have purchased your voucher, you will automatically get an email from My Discoveries reconfirming next steps including completing your SNA online booking form. You can also contact us on 1300 404 606 and we will happily assist you with purchasing your holiday online or over the phone. Our partner operator negotiates great deals with airlines ahead of time, purchasing tickets in bulk at different times throughout the year to provide you with the very best value for money. Unfortunately, this means there is no pre-set time when you will get your tickets other than in advance of your travel. Sometimes this can occur months in advance while in others, it’s 30 days or less prior to travel. Rest assured we have everything under control and no one has ever missed their flights in their 6-year history. Your tickets will be issued electronically, but are no longer needed by the airlines. Upon check-in, you just need to show your passport and visa. Where will I have a stopover on my flight? We are not able to confirm if there will be a stopover or where that might be on your way to and from your chosen destination. When you purchased your group tour, we endeavour to find the best path to get you from your origin city (Sydney, Melbourne, Perth, Brisbane or Adelaide) to your destination. Most of the time, this means we need to go through a large hub airport to then connect with a domestic flight. We always seek to ensure the minimum amount of layover time that meets with the required transfer times set by the airlines and/or designated airports. If you wish to pay an additional cost to upgrade to a better, more direct flight path or to business class, you may contact SNA customer service and we can discuss the options available. When will I get my itinerary? This My Discoveries Voucher you will receive post purchase serves as your tour itinerary. A detailed day-by-day summary of your hotels and other travel details will be sent to you at least one week prior to travel to ensure it is complete and accurate. Your confirmed hotel list is sent out seven days prior departure. This is because sometimes small details change at the last minute due to the complexity of travel to developing countries. Our Operator SNA will be happy to assist you with any Visa requirements you may have. Should you wish SNA to organise visas for you, SNA will be processing your visa in bulk, based on travel tour dates and group sizes. Each country has its own visa process which unfortunately can vary widely beyond our control. Developing countries are notorious for inconsistent processing, which is why we strongly suggest you leave it up to us to deal with it. We have dedicated customer service personnel to hand-hold your visa application through each step to ensure nothing goes wrong. Unfortunately, there is no pre-set schedule we can confirm other than you will receive them ahead of your travel. Please contact SNA if you have concerns about your visa. Alternatively, you are able to process your own visas directly with the countries consulate closest to you. To enter China, Australian passport holders must have a valid and appropriate visa. A full visa must be obtained prior to travel. The website of the Embassy of the People’s Republic of China in Australia has detailed information on the eligibility of Australians for various visa types and is linked above. Alternatively, you can contact an external visa provider such as Visa Central directly for more information or arrange a visa. My Discoveries and SNA Tours have partnered together to bring you the best value-for-money deal possible. This means that there will be penalties for cancelling. Once the 30-day period ends a minimum of $350 SNA Tours. A $100 My Discoveries fees will apply per person & will be charged to cover administrative costs incurred following cancellation. Once air tickets are issued, no refund is possible. Should there be a health or other serious issue, please contact My Discoveries and SNA with supporting documentation and we will assess the claim on compassionate grounds. My Discoveries strongly recommends Travel insurance and we can organise this. Simply email mydiscoveries@boundround.com to receive 10% off your travel insurance. Can I decide my travel flight path? SNA facilitate hundreds of travellers across dozens of dates and half a dozen origin cities. This means they need to have the flexibility to manage across multiple airlines and cannot provide each passenger or travel group with their own preferred flight path. The more direct flight path, the higher the cost. Admittedly, this is a trade-off when travelling at this amazing price. Yes, you can upgrade your International flights to Business Class. Please contact the SNA Customer Service team to discuss the details and update your booking. Please note domestic flights can only be booked in Economy. Shore excursions are listed throughout the itinerary. These can be booked through SNA Tours or on board the cruise. We recommend booking prior to departure to ensure availability. Please keep in mind that you are unable to get off the cruise ship if you unless you are booking a shore excursion. 3 Tour Shore Excursions packs can be booked with SNA for $170pp. Excursions include Lesser Three Gorges, Three Gorges Dam Site and Fengdu Ghost City. You are able to purchase additional drinks packages and dining packages onboard or with SNA Tours.